Do you suffer from headaches? 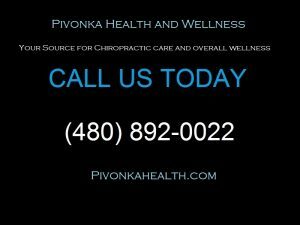 Well the surprising thing is that a chiropractor can help you with headache relief in addition to a lot of other services. The World Health Organization points out that nearly everyone experiences a headache once in a while. Primary headaches occur when the pain in your head is the condition. In other words, your headache isn’t being triggered by something that your body is dealing with, like illness or allergies. Episodic headaches may occur every so often or even just once in a while. They can last anywhere from half an hour to several hours. Chronic headaches are more consistent. They occur most days out of the month and can last for days at a time. In these cases, a pain management plan is necessary. If you have a tension headache, you may feel a dull, aching sensation all over your head. It isn’t throbbing. Tenderness or sensitivity around your neck, forehead, scalp, or shoulder muscles also might occur. Anyone can get a tension headache, and they’re often triggered by stress. If OTC medications aren’t providing relief, your doctor may recommend prescription medication. This can include indomethacin, meloxicam (Mobic), and ketorolac. When a tension headache becomes chronic, a different course of action may be suggested to address the underlying headache trigger. Cluster headaches are characterized by severe burning and piercing pain. They occur around or behind one eye or on one side of the face at a time. Sometimes swelling, redness, flushing, and sweating can occur on the side that’s affected by the headache. Nasal congestion and eye tearing also often occur on the same side as the headache. These headaches occur in a series. Each individual headache can last from 15 minutes to three hours. Most people experience one to four headaches a day, usually around the same time each day, during a cluster. After one headache resolves, another will soon follow. A series of cluster headaches can be daily for months at a time. In the months between clusters, individuals are symptom-free. Cluster headaches are more common in the spring and fall. They are also three times more common in men. Doctors aren’t sure what causes cluster headaches, but they do know some effective ways to treat the symptoms. Your doctor may recommend oxygen therapy, sumatriptan (Imitrex) or local anesthetic (lidocaine) to provide pain relief.